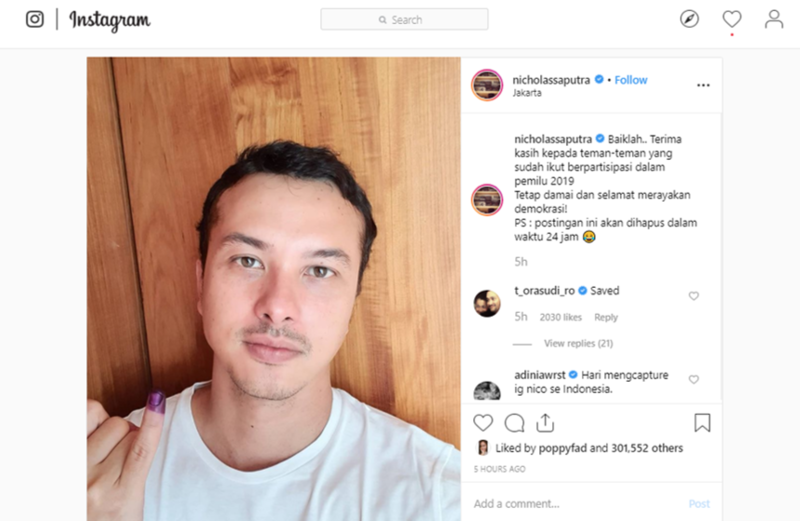 “If you vote, Nicholas Saputra will post a selfie on his Instagram account,” Film-maker Mira Lesmana stated on this election season. Yep, you can thank us later, we have saved the legendary post for your eyes only. So, what do you think of pic, guys?